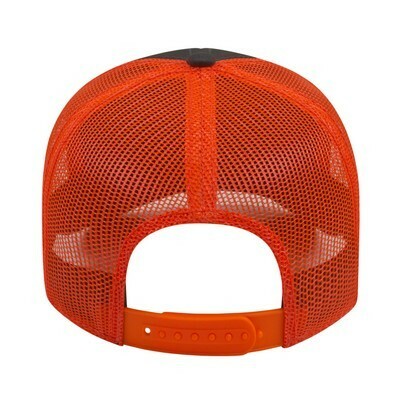 Get your brand on the custom Modified Flat Bill with Mesh Back Cap! Flat bill caps make a stylish addition to any sporty wardrobe. 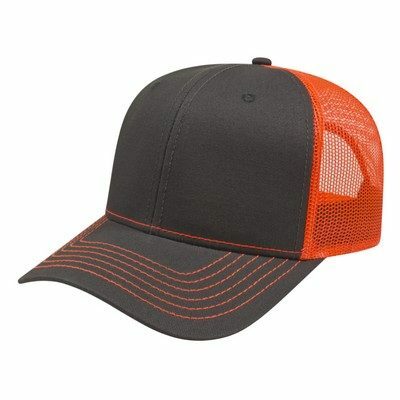 This structured, mid-profile cap features a six panel construction and is made out of polyester material. Mesh back provides enough ventilation and breathability to keep the user cool and comfortable. 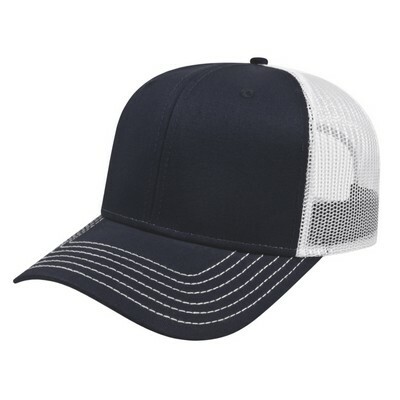 It also gives the cap a fashionable trucker hat look for sports events or casual days. Adjustable plastic snap tab closure guarantees snug and comfy fit. It is available in three attractive color combinations to choose from. You can get your brand logo and name embroidered on the imprint locations available to create a custom gift for your valuable recipients.